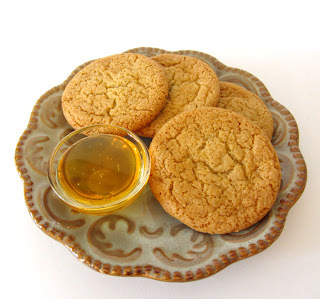 These cookies are chewy delights with a lovely hint of honey. They're a bit like sugar cookies and oh so yummy. This recipe is adapted from one at Cookie Madness. It is super simple and quick, too. I definitely recommend these cookies - they're fabulous! 2. In a medium bowl, whisk together the flour, baking soda, salt, and cardamom. Set aside. 3. In the bowl of a stand mixer combine the oil, honey, sugar, vanilla, and egg. Beat until thoroughly blended (it will look creamy and smooth). 4. Add the dry ingredients to the bowl. Beat on low until the dry ingredients are just incorporated - do not overmix. 5. Scoop tablespoonfuls of the dough onto the prepared baking sheets, leaving about 2" of space between each. 6. Bake for 7-9 minutes or until the edges are golden brown. Let the cookies cool on the sheets for 5 minutes. Transfer the cookies to racks to cool completely. These honey cookies are versatile, too! They make great ice cream sandwiches and are wonderful filled, too. This cookie filling is from Epicurious. With only two tasty ingredients, it comes together in a snap. Yum yum! 1. Beat the cream cheese and honey together in a medium bowl until smooth. 2. Scoop tablespoonfuls of the filling onto half of the cooled cookies. Top with the remaining cookies, pressing gently together to evenly distribute the filling. 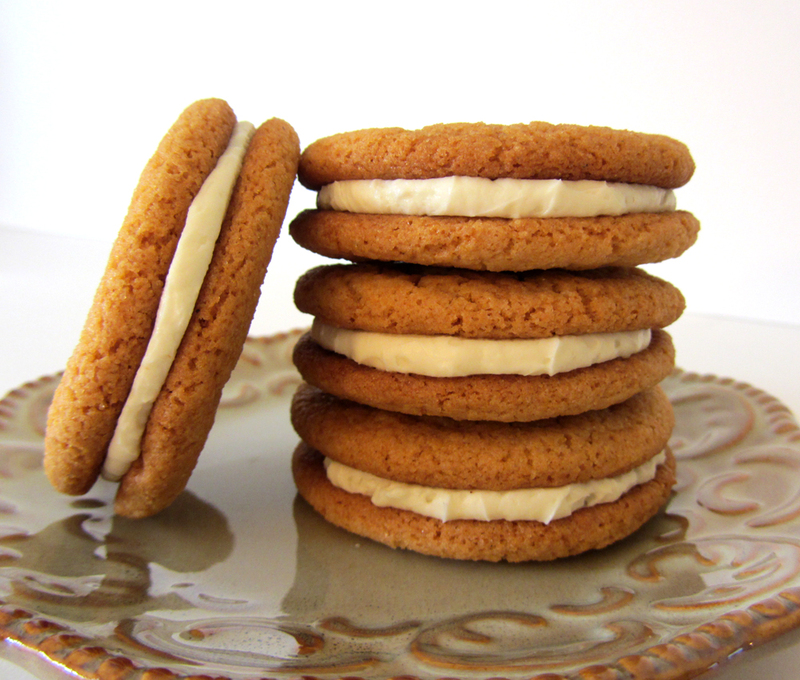 *The filling will eventually soften the cookies and should not be left for long periods at room temperature. It is best to fill the cookies the same day you intend to serve them.